Canadians are disgruntled with television in this country. Many blame the CRTC for the system’s failings, and some have told the federal regulator they would prefer it didn’t exist. Those are just some of the criticisms of TV in Canada that the Canadian Radio-television Telecommunications Commission shared Wednesday, following a call for public comment in its "Let's Talk TV" campaign. Overall, participants demanded change — everything from the need for greater content choice and competition to the elimination of regulations that mandate support for Canadian content. “Some believe that the CRTC is primarily responsible for this situation, and actively suggested that the body be abolished, suggesting that its regulations have created an impediment to consumer choice,” the regulator said in its summary of the findings. Some focused on the state of Canadian programming — noting that homegrown content is easier to spot because of its lower quality. They called for increased production values, more creativity and more compelling stories. “If our Canadian TV shows were as good as our Canadian Olympians, then more people would want to watch, follow the series and cheer on the characters,” one respondent said. “It should not appeal to the lowest common denominator,” the CRTC heard. CanCon rules require Canadian TV broadcasters to ensure that 60 per cent of their overall content is Canadian and to spend about 30 per cent of their revenue on domestic content. But the CRTC plans to re-examine those rules, along with all other aspects of the Canadian television industry, as Netflix, pirating, video on demand, iTunes and other custom platforms revolutionize how, when and where we watch TV. 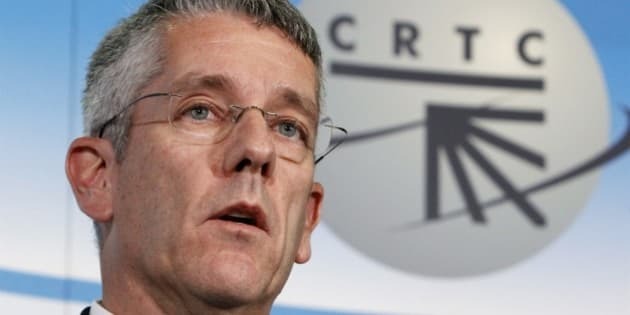 CRTC chairman Jean-Pierre Blais has signalled in the past that he is willing to consider removing Canadian content obligations. Respondents were torn on the issue of whether funding Canadian content should continue to be mandatory. Some said regulations that require both financial support and the airing of Canadian content are no longer relevant. “They think that Canadian content should be permitted to succeed or fail on its own, and that a system that does not establish quotas would lead to more compelling Canadian content,” the CRTC said. Others, notably those from Canada’s creative community, said CanCon rules are necessary to ensure financing of production that provides jobs in Canada. “Canadian content is very important to a Canadian economy, so guys like Rogers, Bell, CBC and CTV must all do their part in providing Canadian content,” one respondent said. Many comments also focused on the shifting nature of how Canadians watch TV — a topic of great interest to the federal regulator as disruptive technologies such as Netflix, Bittorrent and other online and on-demand services shake up conventional viewing habits. There were complaints from consumers about increasing costs for basic cable subscriptions, some citing the additional costs for their decision to migrate away from traditional viewing. The issue of channel bundling was also top of mind. Many respondents complained that their basic packages have become too large and that they are forced to pay for channels they never watch. A majority said they want channels to be available on a “pick-and-pay” basis, with many calling for the CRTC to introduce some sort of rate regulation either for packages or a service-by-service basis. Channel bundling is certain to stay in the national conversation, thanks to the Harper government's proposal to introduce so-called pick-and-pay cable and satellite television services aimed at allowing subscribers to select and pay for individual channels. The CRTC plans to use the information collected to develop a questionnaire that will serve as the second phase in the review. The regulator will then propose a new framework this spring, which will be the subject of a public hearing in September.